As the second daughter of a royal chief, Maile will be permitted to marry for love. Her fianc is the best navigator in Hawaiʻi, and he taught her everything he knows--how to feel the ocean, observe the winds, read the stars, and how to love. Finding herself in the middle of the battle and fearing for her life, Maile takes John Harbottle, the wounded man who killed her fianc , prisoner, and though originally intending to let him die, she reluctantly heals him. And in the process, she discovers the man she thought was her enemy might be her ally instead. John has been Captain James Cook's translator for three voyages across the Pacific. He is kind and clearly fascinated with her homeland and her people--and Maile herself. 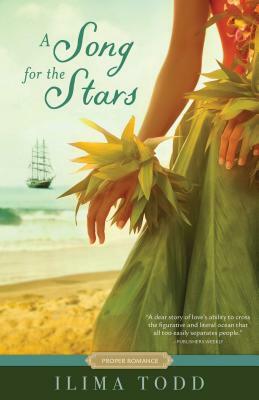 But guilt continues to drive a wedge between them: John's guilt over the death he caused, and Maile's guilt over the truth about what triggered the deadly battle--a secret she's kept hidden from everyone on the island. Ilima Todd was born and raised on the north shore of Oahu, Hawaii, and now lives in the Southwest with her husband and four children. She has a degree in physics and was an avid reader before turning to writing full time.